Andrew Hans Peterson (1878-1953) – Temple Lodge, No.33, Duncan, B.C. Andrew Hans Peterson (1878-1953) was a leading figure in commerce and business in early Duncan. 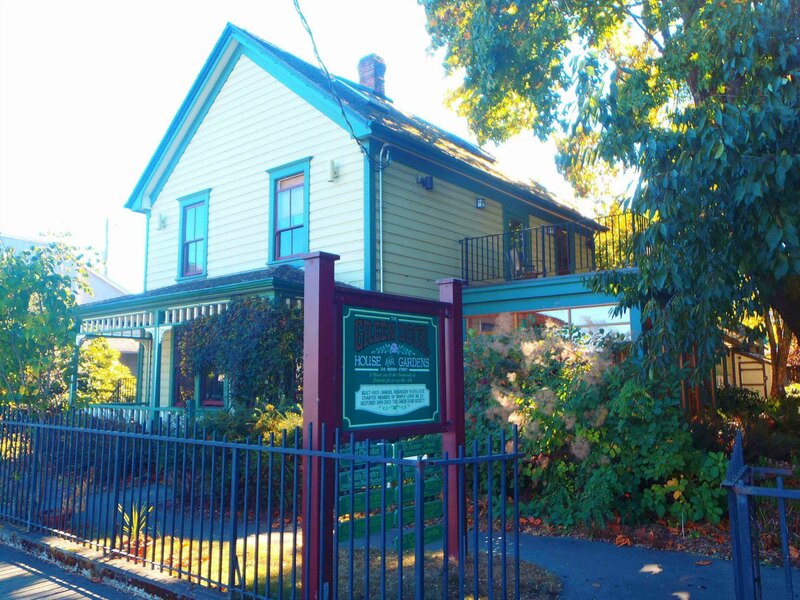 His former home on Ingram Street, built for him in 1903 by contractor Samuel Robinson, is a Duncan Heritage Building, now known the Green Door. He was also a partner (with Thomas Pitt and William P. Jaynes) in Cowichan Merchants Ltd., which built the Cowichan Merchants Building, a downtown Duncan landmark. “Peterson – Death last week in Vancouver removed a Duncan pioneer who had contributed to the growth of this community in many fields, chiefly the mercantile. Mr. Andrew H. Peterson, 75, died on Wednesday morning and was buried there on Friday afternoon, near his late wife, the former Agnes Grassie, who predeceased him two years ago. Mr. Peterson was born at Port Blakely, Washington on August 3, 1878, the son of John H. And Sophie Dorothy Peterson. He was educated at Port Townsend in the same State. His business life in Cowichan began here 55 years ago, on his birthday, in 1898, with the late Harry Smith, founder of The [Cowichan] Leader [newspaper]. With his brother in law, the late Thomas Pitt, Mr. Peterson bought out Mr. Smith’s interest in their store and carried on the business as Duncan Emporium. This continued until 1909 when the Cowichan Merchants was begun as an amalgamation of Pitt & Peterson and the late W.P. Jaynes, another pioneer merchant. 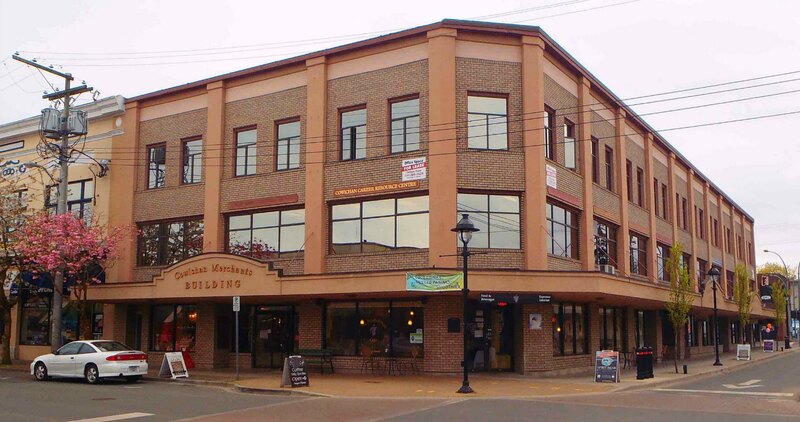 Cowichan Merchants owned and operated the building which is now the T. Eaton Co.’s Duncan branch. Mr. Peterson’s association with the district’s first large department store continued until the depression years of the thirties. For some years he operated a hardware store. He subsequently developed a keen interest in agricultural marketing and became the first member for Vancouver Island of B.C. Coast Vegetable Marketing Board. He moved to Vancouver in 1938. A stroke laid him low some months ago and his condition steadily grew worse. Mr. Peterson will long be remembered for his many activities. His leading position in the developing Cowichan community was demonstrated in may organizations, and even perhaps by a nickname “Judge” he acquired some years ago. He was a charter member and past president and secretary for many years of the Duncan Board of Trade, now Duncan Chamber of Commerce. He was first president of Duncan Rotary Club. Mr. Peterson was also a member of the committee which arranged for the incorporation of the City of Duncan, although he was an unsuccessful candidate for alderman in the first [municipal] election [in 1912]. Fire protection also had a devoted friend in Mr. Peterson. He was a member of the first fire brigade, the Alderlea brigade, organized in 1902, and a past fire chief. He was a life member of Cowichan Agricultural Society and a past president of this district-wide organization. He served as a society director for over 35 years. He attended his first exhibition in Duncan in 1898. Mr. Peterson was also instrumental in reorganizing the newspaper in Duncan, helping to form the former Cowichan Leader Printing & Publishing Co., of which he was first secretary and with which he was associated for a number of years. Sports also felt his guiding hand. He was a past president of the Cowichan Golf Club and a keen player for many years. In his youth he was captain and pitcher of Duncan baseball teams in the early 1900s. 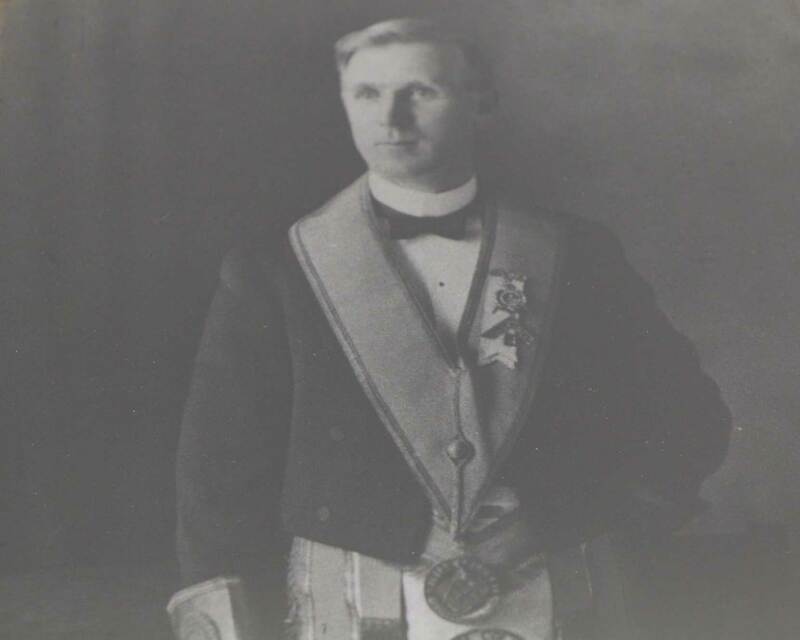 Mr. Peterson was a life member of the Masonic order and served as master, 1905 and 1921, of Temple Lodge, No. 33, A.F. & A.M. he was a past district deputy grand master and a past Z of the Royal Arch Masons. In religion he was a Protestant. In politics he was an independent. Mr. Peterson was married on October 5, 1904, his wife being a daughter of Duncan pioneers, the late Robert and Mrs. Grassie. He leaves one son, Kenneth, Alert Bay, and one daughter, Margaret (Dela), Mrs Ross, Vancouver; one brother, Mr. E.H. Peterson, Sahtlam; and two sisters, Mrs. Sophia Reid, Sacramento, Cal., and Mrs. Lou Burnett, Vancouver. The funeral was conducted by the Rev. W.F. Burns, Duncan. Several of the brethren from Temple Lodge attended. The graveside service was according to Masonic rites.